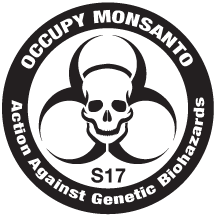 Monsanto has hundreds of facilities for your protest convenience. Click here to view Monsanto’s locations in the USA, Canada, and Mexico on a larger Google Map. Having trouble viewing this spreadsheet? Please click here to view this spreadsheet on it’s own webpage. These locations were found on Monsanto’s website and may have changed. Please e-mail any new maps or corrections to correction@occupy-monsanto.com.